Australia-Vietnam relations. Building trade, social capital and security through culture in Asia. 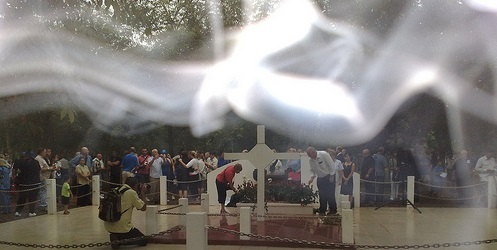 Smoke drifts over the Long Tan Cross. 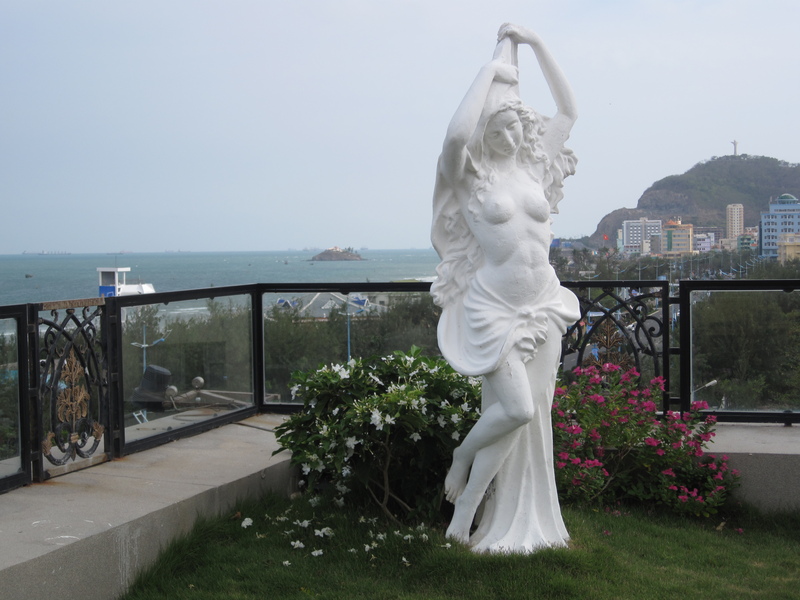 Near Vung Tau, Vietnam. Anzac Day 2009. I’m currently undertaking some enjoyable research tasks for a forthcoming post about the relics of history that are visible in my adopted town of Phan Thiet, Vietnam. Mostly, this research involves walking around with a camera and keeping an eye out for evidence of war or occupation. As an Australian in Phan Thiet I am part of a small expatriate community, but we weren’t the first group of expatriates to live here. 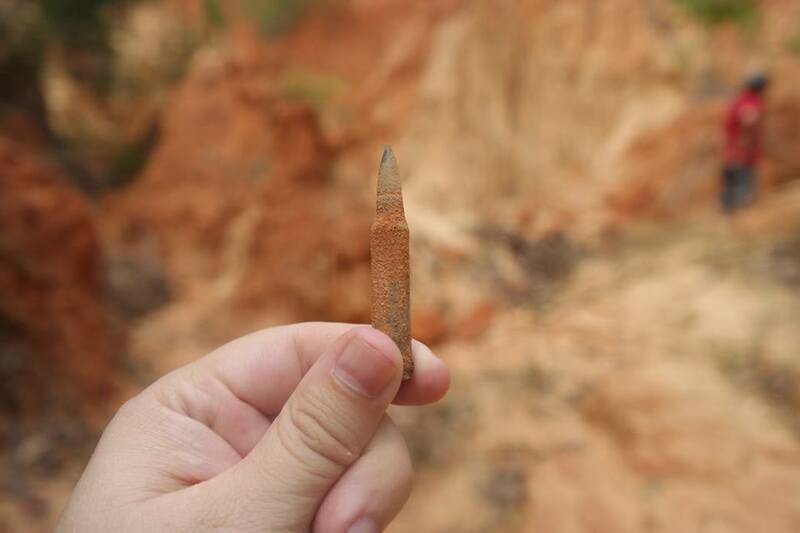 The French and Americans were here and are long gone, however remnants of their life here still exists in the French colonial buildings that dot Phan Thiet, and in the M16 bullets that scatter the dirt at various sites around the edge of town. 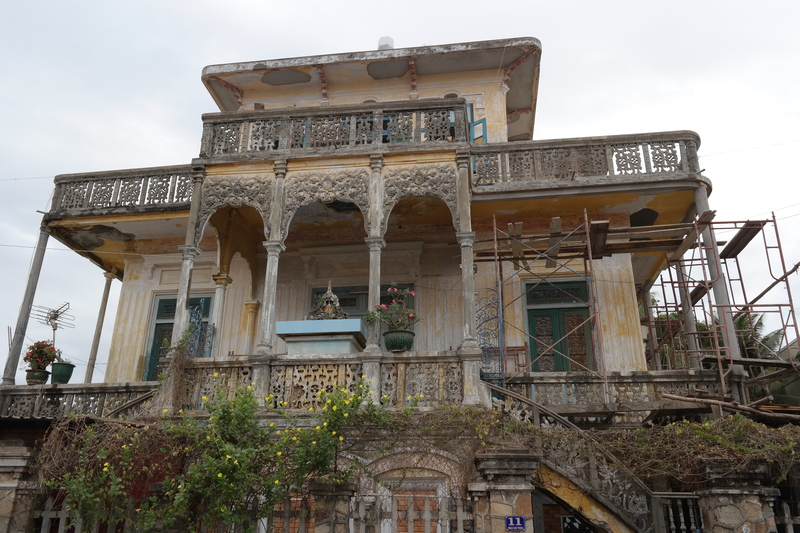 French Colonial Villa in Phan Thiet, Vietnam. Australians have long been coming to Vietnam, sometimes in conflict and sometimes in friendship. 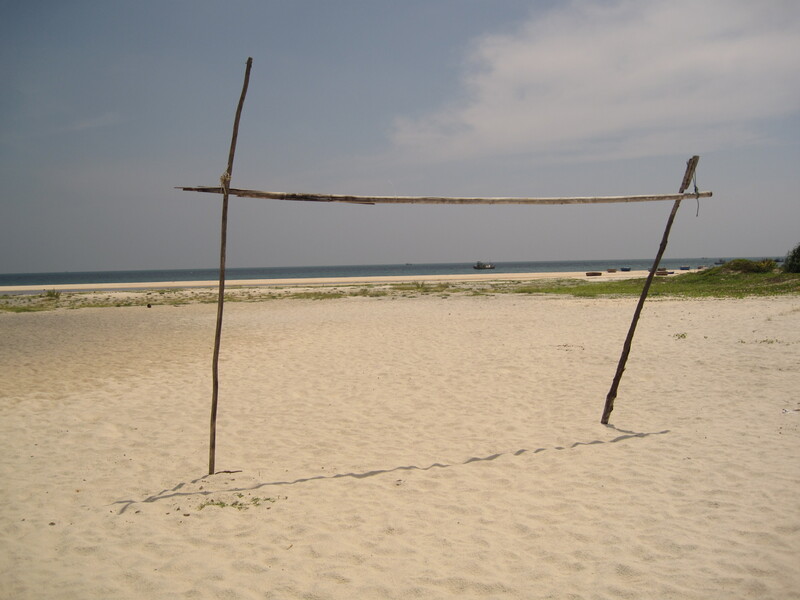 When we discuss Australian cultural engagement in Asia, we often think of it as a new thing, but as Australian football legend Johnny Warren wrote in his superb book Sheilas, Wogs and Poofters, our sports people have been coming to Asia and building bridges of friendship for decades. His stories about the Australian national football team playing competitions in Saigon at the height of the Vietnam War are particularly enthralling. The book itself provides readers with an excellent contextual understanding of Australia’s relationship with its neighbours and with its own new arrivals and multiculturalism. At the same time that the Socceroos were playing football here in the late 1960’s, other Australians were also in Vietnam, fighting against Communist forces from the North of Vietnam. Remnants of their time in Vietnam can still be found in places like the Ba Ria–Vung Tau province and you can find aging Australian war veterans drinking at places with names like The Ned Kelly Bar in the coastal town of Vung Tau. Australians are said to be well respected around these parts because of the way our soldiers conducted themselves during the war. At the end of this month, Vietnam will celebrate the 40th anniversary of the end of the war. The symbolic moment of victory, North Vietnamese army tanks smashing down the gates of the Independence Palace, was filmed by Australian cameraman Neil Davis on April 30, 1975 and a book about his life written by Tim Bowden, One Crowded Hour, provides readers with further understanding of Australia’s involvement in the region. 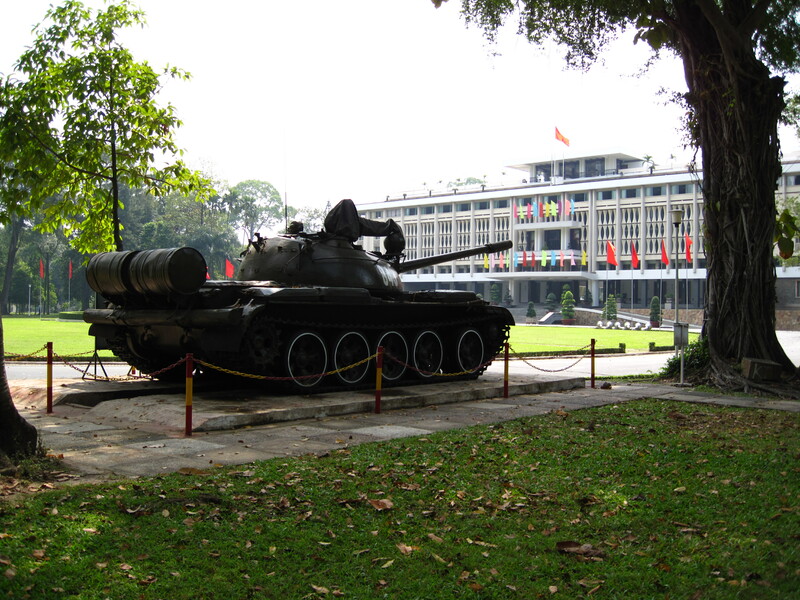 North Vietnamese army tank at the Reunification Palace in Ho Chi Minh City, Vietnam. Australian cameraman Neil Davis filmed the tanks crash through the Palace walls symbolising the Fall of Saigon. These days, Australians come to Vietnam for resort life, adventure holidays or to do charity work, and Vets come back for a whole range of personal reasons which they’ll tell you about at the Ned Kelly Bar. Each year also sees more and more Australians coming to Vietnam to do business; the days of fighting are over, and there’s money to be made. Vũng Tàu, Vietnam was the arrival and departure point for Australian soldiers during the war. It hasn’t just been one-way traffic, tens of thousands of Vietnamese have made their homes in Australia. Vietnamese students arrive by the plane-load, and increasingly wealthy Vietnamese folk are visiting Australian shores for holidays or business. A recent meeting between Tony Abbott, the Prime Minister of Australia, and Nguyễn Tấn Dũng, the Prime Minister of Vietnam, prompted me to give some thought as to how Australia’s relationship with Vietnam has changed since the war, and how this reflects Australia’s broader relationships in the region. These days, much of our formal relations have to do with trade, but like in the 1960’s, security implications remain but with old fears replaced by new ones. In the next two sections, I’ll investigate the role that Australian culture can play in increasing trade, building peace in the Asia Pacific region, and developing beneficial relationships not only with Vietnam, but with other Asian countries as well. A few weeks ago at a friend’s house in Phan Thiet, Vietnam, I was watching the local Vietnamese TV news broadcast. The lead story was the meeting between Tony Abbott, the Prime Minister of Australia and Nguyễn Tấn Dũng, the Prime Minister of Vietnam. Walking home from my friend’s place I heard Advance Australia Fair (Australia’s national anthem) blasting out of the government loudspeakers that are strapped to streetlights at busy intersections throughout the town. Hearing the Aussie anthem on the streets of a regional Vietnamese city was a little surreal and it was the first time that I can recall hearing an Australian song played here. Vietnamese music is popular here in Vietnam, but so too is Korean and American music; Hotel California could easily be confused for the national anthem of Vietnam. The hippest beachside coffee shop in Phan Thiet has only two CD’s, ABBA‘s and Boney M‘s Greatest hits, from Sweden and Germany respectively. I might hear some Aussie music in Vietnam’s big cities, that Down Under song or Beds are Burning for instance, but I’ve never heard Australian music in Phan Thiet. Similarly, you don’t see many Australian TV shows on the box in Vietnam. The Vietnamese don’t watch Australian TV shows simply because they aren’t on the telly. My Vietnamese family and friends love soap-operas, particularly from India, Korea and the Philippines, as well as the locally produced ones, but I’ve never seen ‘Winners and Losers’ on TV here, although that’s probably a bad example. 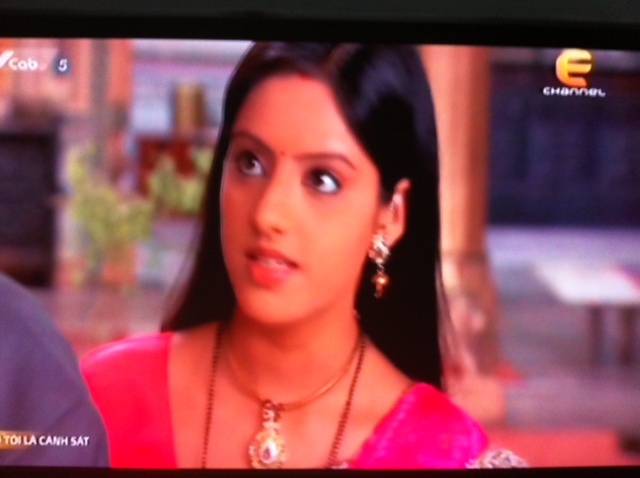 Scene from ‘Vợ tôi là cảnh sát’; an Indian soap opera popular in Vietnam. There once was this thing called the Australia Network, a TV station that brought a bit of Australia into millions of homes in Asia each day, but the Abbott government switched it off the day after the 2014 Australian Football League grand final (who ever said they lacked compassion?). There aren’t any Australian books on the shelves in Phan Thiet. Children and teenagers read translated graphic storybooks and novels from Japan. For older readers, a Vietnamese translation of Fifty Shades of Grey has recently been released. Dan Brown novels are popular as are classics by Verne and Dickens and most people know something about Shakespeare and Hemmingway. Last Christmas another Aussie in town, herself a published children’s author, gave my two-year-old daughter a special gift; a copy of Mem Fox’s acclaimed children’s book ‘Possum Magic’. I was thrilled that my daughter could learn a little bit about Australia while growing up abroad. The author and I got talking about why we don’t see any translations of Australia’s wonderful children’s books for sale in the Vietnamese bookstores, when translated childrens books from other countries are readily available. In the Korean owned shopping mall in Phan Thiet there’s not much Aussie stuff to buy, we can choose from a limited selection of Australian beverages and dairy products at the supermarket and before going home we can grab a burger from a Korean junk food franchise that sources their beef from Australia. Maybe the whole shopping centre is made from Australian steel, but who can tell? 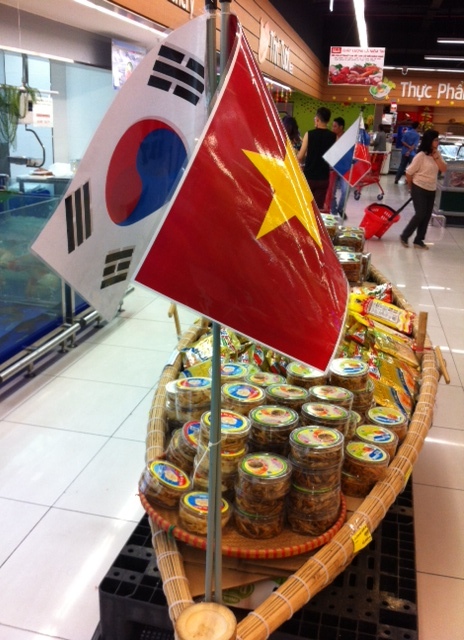 Promotion of Korean seafood and Korean-Vietnamese friendship at a supermarket in Phan Thiết, Vietnam. In the scheme of Australian exports to Asia, Phan Thiet is fairly insignificant, but my analysis here serves a purpose. Firstly, businesses and governments seeking to invest in Asia often become overly focussed on China, but neglect many other Asian countries that are experiencing high rates of growth, and missing out on the opportunities they present. Secondly, there is also a common tendency to be overly focussed on large cities. To use Vietnam as an example, many businesses focus on Hanoi and Ho Chi Minh City, which combined have a total of about twenty million people; Vietnam is a country of ninety million people however, which means that about seventy million people live in between the two major cities, largely in smaller cities like Phan Thiet. There are thousands of places like Phan Thiet throughout Asia, large regional towns or small cities with high export profit potential. 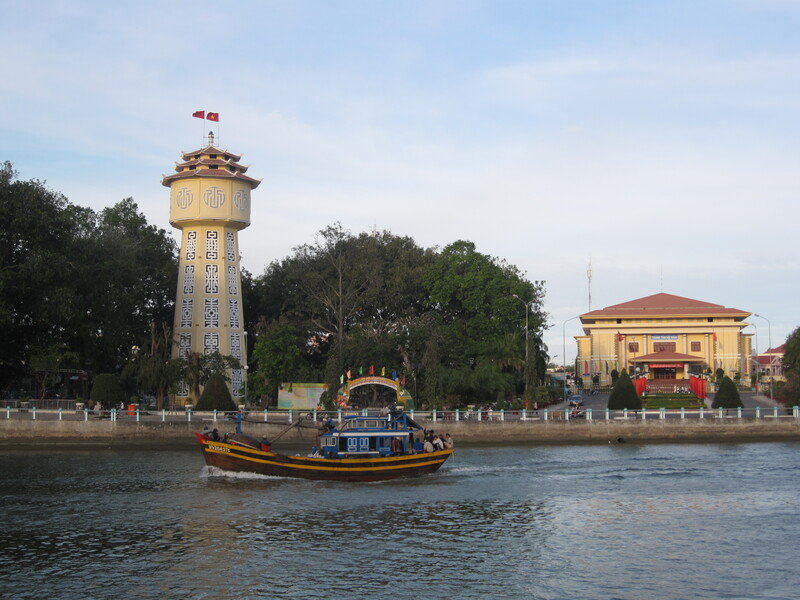 The famous water tower of Phan Thiết, Vietnam. Sometimes I attend trade events or networking meetings in Ho Chi Minh City where I meet many Australian business people trying to find new avenues to sell their goods and services in Vietnam: insurance, banking, financial planning, minerals, and machinery. But I’ve never met an Australian in Vietnam trying to increase sales of Australian cultural products such as music, books, art, movies or TV shows. Japan, India and Korea are all capitalising on the diverse cultural tastes of Vietnamese consumers and Australia could, and should be doing the same. With Australia needing to widen its income base and decrease its reliance on commodities, and with more accessible avenues to new markets, there has never been a more important and more opportune time to sell more Australian cultural goods in Asia. The increased engagement between Australia and Vietnam and new Trade Agreements on the horizon means we should soon see more Aussie products on the shelves in Vietnam at a lower price and vice-versa. An increase in two-way trade will benefit both countries, but only if companies take advantage of the opportunities that are presented under the terms of the agreements. To help Australian companies take advantage of the new trade environment, Australian governments will need to help them get started. Selling in new markets is difficult, there are different business practices and cultural norms to navigate, decision making times can be long and the upfront costs can be staggering. Governments in Australia correctly provide assistance to Australian businesses and industries seeking to trade abroad by providing funding, training and subsidised consultancy services. When considering which industries to assist in developing their international markets, Australian governments have wisely looked for return-on-investment. For example, a government would be willing to spend ten million dollars on industry development that might bring a hundred million dollars back into Australia, however they would be unlikely to spend that money if there was doubt that the investment would deliver substantial returns. For this reason, the tendency has been to provide assistance that ultimately benefits big companies or businesses in industries that can demonstrate potential for large profits. It makes sense to use taxpayer’s money prudently this way. But the Australian Government’s involvement in Asia is not solely about economics; in order to maintain its national security, the Government needs to ensure it has good relationships with its neighbours and plays it’s part in building regional peace and stability. Trade is important because it allows for the building of national prosperity, but with adequate strategic foresight and implementation, trade can also contribute to the peace and stability initiatives that the Government implements via diplomatic channels. In order for Australian enterprises to succeed in Vietnam, and Asia generally, when considering what industry assistance to provide and to whom, it would be prudent to not only consider the financial returns on the investment, but to also consider broader and less tangible returns such as building Australia’s social capital and national security, along with contributing to regional security, peace and stability. Whilst selling translated copies of ‘Possum Magic’ in the bookstores of Vietnam won’t noticeably affect Australia’s trade deficit, it will contribute to improving security in the region and building social capital which in turn can be leveraged by industries with the potential to bring home larger profit margins. These are a couple of points I’ll address in Part III and IV. Comparing the export of Possum Magic with the export of iron ore is a little unfair in dollar terms, but Possum Magic has friends; each year, thousands of books of all descriptions are released by Australian publishers, and these books are a part of Australia’s cultural output which also includes, among other items, music, film, TV and live music, theatre or dance performances, which when combined is an industry that also has significant scope for large profit making in Asia. Australia continues to import more cultural goods and services than it exports overseas. In 2008-09, Australia earned $747m through the provision of cultural goods ($584m) and cultural and recreational services ($163m) to the rest of the world. By comparison, in the same year Australia imported $3,259.9m of cultural goods and $1,329m of cultural and recreational services from overseas. Exports of cultural goods in 2009-10 totalled $539.8m, or 0.3% of all goods exported from Australia, while cultural imports totalled $2,436.6m, or 1.2% of all goods imported into Australia. Whilst some of the choices of outputs that the ABS labelled as ‘cultural goods’ aren’t necessarily what I would call ‘cultural goods’, the stats highlight a few points for consideration. To start with, it’s often said that Australian arts and culture punches above its weight on the world stage. If this is true, why isn’t it reflected in the stats for exports of cultural goods? That cultural goods represents less than one-half of one percent of all goods exported from Australia is a dismal statistic, especially if Australian culture is as ‘vibrant’ and ‘dynamic’ as the Government claims it is in much of the literature it produces in regards to art and culture. The stats also shows that there is a large trade deficit in cultural goods, that is, we import more cultural goods than we export. This is nothing to celebrate and it highlights an area for improvement. As trade analysts look for avenues of growth potential, the need to improve the trade balance in cultural goods sticks out like a sore thumb. Let’s not get tripped-over by the naysayer who might let out-dated arguments stand in our way of getting Australian cultural goods into Asia. The old argument goes something like this; there’s no point selling movies, music or clothing in Asia because the product just gets copied and sold at low cost with no financial benefit to the owner or distributor. These days, the rising middle classes of Asia are becoming more and more discerning, and it’s been some time since I could get away with buying my wife knock-off bottles of Chanel. People in Asia increasingly don’t want to buy knockoffs and prefer to seek out the authentic products, while new cinema chains and bookstores are being built that only display authorised products, and the burgeoning middle classes are buying fewer copied CD’s and DVD’s and are opting for new paid-for online delivery of their music and movies. With the bookshop stands stacked with Vietnamese translations of authorised copies of 50 Shades of Grey, I’m yet to see a knockoff copy for sale anywhere. Copyright provisions within the new Trade Agreements will also provide increased protections for intellectual property and these old copyright arguments hold less water than they once did. As the price of commodities in international markets continues to fall and Australia’s trade deficit increases, it’s clear that Australia needs to diversify the goods and services that it sells to the world. Australian cultural products are export-ready goods that are being wasted by sitting solely on Australian shelves or being sold almost exclusively to our traditional European and North American trading partners; demand for cultural goods is high in the Asia and it’s market is cherry ripe for picking. Our cultural products are equal or better than any other nation’s and shouldn’t be taking such a back seat; it’s time to capitalise. Picture this: a young Vietnamese girl is given a Vietnamese language copy of Possum Magic for her third birthday. She falls in love with the book, its characters and its landscape. Because of Possum Magic, she also falls in love with Australia and longs to go there. At the age of eighteen she gets her chance, choosing Australia as her study destination over Malaysia or the USA. Although she doesn’t say it out loud to her parents, her long-held desire to hold a koala is her prime motivating factor. After a few years in Australia she returns home with a taste for Aussie clothing and seeks out new Australian designer outfits in the malls of Ho Chi Minh City. She prefers Australian beef and drinks Aussie wine. 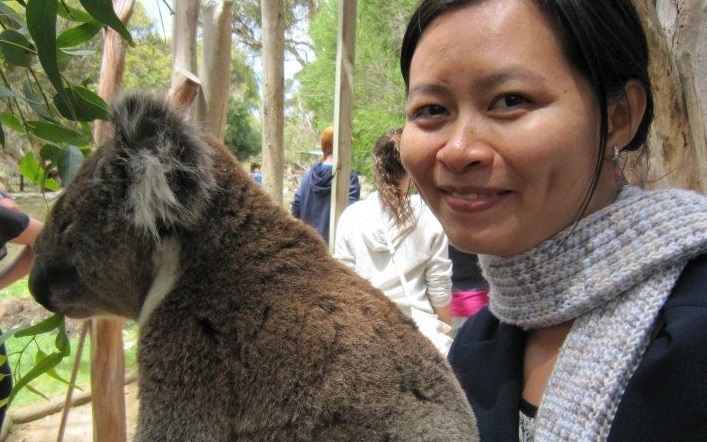 In high demand because of her Australian university degree, she turns down lucrative job offers from American and Korean firms in favour of working for an Australian company. 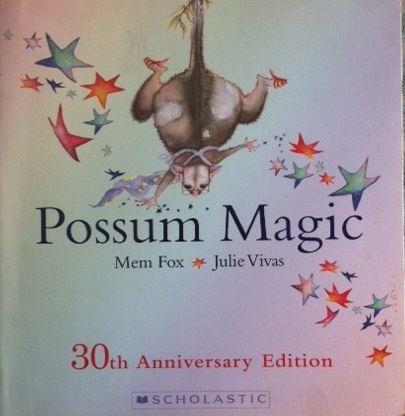 In a chest of drawers at her childhood home she finds her tattered old copy of Possum Magic, and remembers the spell it put on her as a kid, realising her fate was sealed since the day it was first read to her as a three-year-old. That’s one way that cultural goods, Possum Magic in the case above, can help a nation to develop its social capital overseas. As I’ve written about previously, relationships and trust are vitally important when doing business in Asia. When someone feels as though they know you and trust you they are more likely to do business with you over someone else. Cultural exports help people in other countries ‘decode’ the other’s culture and build familiarity, which is important for trust building. If people in Asia have good experiences and thoughts about Australia that have been developed through their interactions with Australian art, books, films or music, it gives us a head start in business negotiations and making sales. The more cultural engagement Australia has with Asia, delivered through our people and our cultural products, the more trustworthy we become. This trust can then be leveraged by business to build the important relationships required to deliver strong corporate outcomes. There are two types of power that a country can deploy beyond its own borders; hard power and soft power. The combination of hard soft power strategies is referred to as ‘smart power’ in international relations. Smart power is an approach that underscores the necessity of a strong military (hard power), but also invests heavily in alliances, partnerships, and institutions of all levels (soft power) to expand influence and establish legitimacy of action . Joseph Nye, former American Assistant Secretary of Defence and the international thought leader on smart power, says that ‘employing only hard power or only soft power in a given situation will usually prove inadequate’. Soft power can be deployed through a range of initiatives such as contributing foreign aid, staging arts or sport events or managing student exchange programs. Cultural diplomacy is a branch of soft power that places aspects of culture at the centre of its philosophy and initiatives. You may have heard about gastro-diplomacy, catwalk diplomacy, ping-pong diplomacy and panda diplomacy; these are all part of cultural diplomacy. Australia’s diplomatic footprint has always been small when compared with other nations and so too has its soft power and cultural diplomacy footprints. Perhaps due to being blessed with a productive land with the capacity to sustain its population for all of its requirements, and with war reaching our shores on only a handful of occasions in WWII, the Australian Government has mostly been fairly inward looking when it comes to external affairs. Electoral politics is centred on domestic issues and there are few votes in external issues. Critics have argued that cutting foreign aid and the Australia Network demonstrates the inward-looking nature of the current Australian Government, which appears to be isolating Australia at a time it should be seeking stronger international engagement. In its defence, the Abbott Government would mention the New Colombo Plan that sends Australian students abroad to study and point out that Australia is ‘open for business’, highlighting that soon to be enacted Free Trade Agreements will improve opportunities for Australian companies to compete abroad. Whilst the term ‘economic diplomacy’ has been spouted about at various breakfasts and receptions by the Foreign Minister around the globe, details about what it actually means in practical terms of delivery is somewhat scant. The Department of Foreign Affairs and Trade’s (DFAT) website ‘What is economic diplomacy?’ is particularly unenlightening. Economic diplomacy uses our international diplomatic assets to advance Australia’s prosperity and global prosperity. The economic diplomacy agenda builds on the portfolio’s long-standing work liberalising trade, supporting global growth, promoting investment and advancing the interests of Australian business overseas. It leverages our strong international networks, our global diplomatic assets, and our highly trained staff. I think I know what economic diplomacy is. Any visitor to Vietnam will notice the massive investments that the Japanese Government and companies are making in the country. But this economic diplomacy Japan is bringing to Vietnam is being coupled with cultural diplomacy. This active diplomatic push is occurring as Asian nations shore up their allegiances in relation to various tensions and territorial disputes, such as those in the seas of China and Vietnam. As the Japanese Government’s success in developing influence in Vietnam demonstrates, economic diplomacy needs to be more than simply selling stuff to other people and hoping they will like you. As a previous Foreign Minister and two Consul-Generals have bemoaned to me, Australia’s diplomatic assets are minuscule, particularly in regards to staff numbers; with the limitations of resources in mind, it’s difficult to see how Australian economic diplomacy will work. That’s not to say Australia’s economic diplomacy won’t work, and I sincerely hope it does. On the face of it, cultural diplomacy, and particularly corporate cultural diplomacy appears to be a good fit with economic diplomacy. Australian cultural goods are something that can be both bought and sold and, as I pointed out previously, can be leveraged for the building of Australia’s social capital, a stock that has been plummeting in recent years, for which the Abbott Government has often borne the brunt of the blame. This ability to build a nation’s positive image and social capital abroad is unique to cultural products; we might always sell more units of iron ore than copies of Possum Magic, but no one develops an understanding or an affinity for another country through iron ore! Economic diplomacy won’t work if it’s not adequately resourced, and the Federal Budget doesn’t provide for any further funding to go to the Department of Foreign Affairs, and actually, quite the opposite. It’s no wonder Julie Bishop raises her brow, rolls her eyeballs, and face palms in Parliament when the Treasurer bestows upon the house the virtues of the Expenditure Review Committee (see video below). In any case, the Australian Government has rarely taken soft power seriously. As an example, a couple of years ago I was interviewed and subsequently offered, or at least I think I was offered, the job of Cultural Relations Manager at the Australian Consulate-General in New York. I had a fascinating discussion for about an hour with the Consul-General which covered a diverse range of topics including what my wife and I talk about in bed (we were talking about confidentiality!). The negotiations unfortunately fell in a heap when I was asked enthusiastically “when can you start?” I had a baby on the way which meant that I couldn’t get to NYC quick enough to start the job within their timeframe. The pay was paltry and I had to pay my own way there and back without any relocation provisions. The job was going to end up costing me money, I would leave New York poorer than when I arrived, and would need to quit a much higher paid permanent position to take it, but I still wanted to do it because it seemed like a fun job, in my chosen field, in a city where I have always wanted to live. Many cultural diplomacy roles in DFAT, like this one, are locally engaged positions offering very low pay, often below the Australian minimum wage. Often they are filled by people who have little direct knowledge of Australian arts and culture. Such positions should be well-paid and highly sought after by Australia’s leading arts and cultural workers who, with adequate funds, would put on some stellar events that could be used by the Government and Australian businesses to build relationships and influence in target locations. If Australia’s financial commitment to soft power is ‘soft’, so too is it’s verbal commitment. Take for example the communiqué that DFAT published in the days that followed the meeting between the Australian and Vietnamese Prime Ministers. The military stuff, the hard power agreements, are firm and close to being implemented. Conversely, the soft power agreements are vague. Consider the language used in the communiqué; the hard power commitment uses words and phrases like “will” and “commits to”, whereas phrases like “will seek” and “agree to explore” dominate the soft power aspects of the relationship. 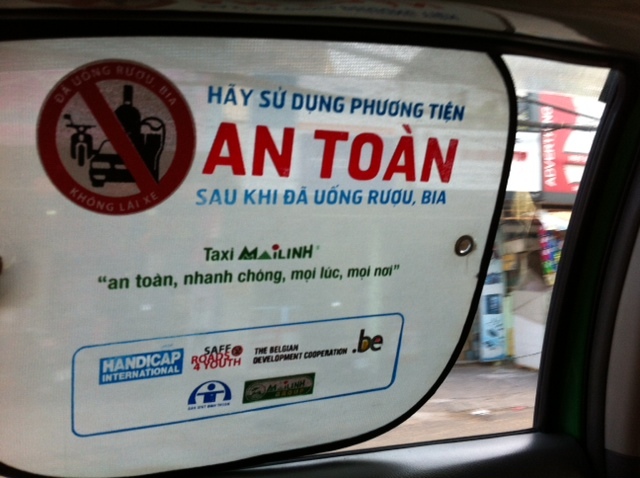 Public diplomacy initiative by the Belgium Government to reduce drink driving which is promoted in Phan Thiet’s local taxis. Like their idols in the Bush Administration, such as Donald Rumsfeld who famously stated that he ‘just doesn’t know what it (soft power) means’, Australia’s Abbott Government is a hard-line government that is similarly unlikely to embrace anything ‘soft’. As experts in the art of macho posturing, Australia’s political leaders would far rather buy fighter jets than invest modestly in soft power. America’s failure to use soft power from the 1990’s to recent times and the ramifications of failing to do so has been well documented, and the Australian Government should pay heed to the lessons of recent history. The Australian Government, and Aussies generally, need to understand that the power of the Western world and particularly the influence of the Anglo-sphere is waning; “we” aren’t the boss anymore, and shouldn’t carry on as though we are! We see this “we’ll show who’s boss” attitude stemming from the Australian Government again and again towards our neighbours, and particularly towards Indonesia, our nearest neighbour, whose population is about ten times that of Australia. It’s both apparent and concerning that there is an imbalance between Australia’s hard and soft power capabilities. In prioritising hard power and being non-committal to soft power, the Australian Government is out-of-step with the rest of the region which is seeking to maximise soft power and cultural diplomacy to build peace, security and stability throughout the region. Vietnam, for example, like many other countries in the region, has announced that it is going to increase its investment in cultural diplomacy. It’s disappointing that the joint communiqué between the two countries, for all of its talk of trade, security and relationships, only used the word ‘culture’ once, and even then in a non-committal sense. In 2003 George W. Bush described Australia as America’s “Sheriff” in the Asia Pacific. Whilst some would view this as a high compliment, it’s not something we should wear as a badge of honour. Wisely, John Howard, the Australian Prime Minister of the day, distanced himself from the comment. As I wrote about in a previous post for wherewordsfailblog.com, whereas the macho posturing of Australia’s current political leaders might play out well to a narrow milieu of Australian society, it’s a poor look on the international stage where chest puffing is less appreciated. If Australia’s relationship with the Asian region is going to be based on economic diplomacy, culture should lead the way. As cultural theorist and economist D. Paul Schafer argues in his forthcoming book The Secrets of Culture, whilst culture has been viewed largely as an extension of the economy, it will prove more profitable in the future to treat a country’s economy as an extension of its culture. To follow-up on the meeting between the two Prime Ministers, Australia will be sending a high level trade mission to Vietnam later this year. Such delegations often include people from Australia’s cultural industries (such as arts and sport), though what has been achieved previously by their inclusion is somewhat unclear and is perhaps an example of the “box-ticking exercise” that I explained earlier. Business leaders from the creative and cultural industries can work with the Government and businesses in Vietnam and other Asian countries to not only make Australia’s cultural products visible and available, but to increase levels of cultural engagement between the two countries and across the region. This requires more than a single trade delegation visit and wishy-washy sentiments like ‘will seek to explore’. It needs long-term solid commitments, a vital aspect of achieving success in Asia. From a trade perspective, good relationships are a prerequisite for doing business in Asia and that’s what corporate cultural diplomacy is all about. Without adequate investment in corporate cultural diplomacy, Australian companies will struggle to compete in Asia. 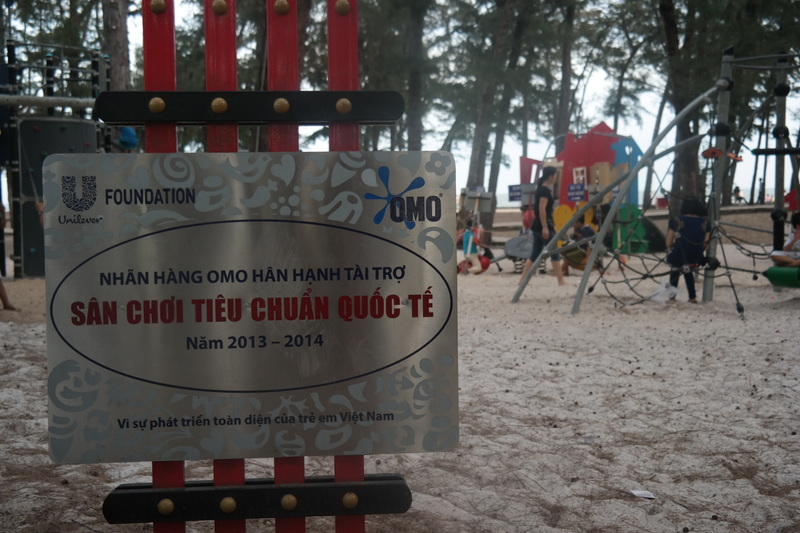 A playground funded by Unilever/Omo in Phan Thiết, Vietnam serves as an example of corporate cultural diplomacy. Australia will have a stronger influence in the region if we are well perceived. In many places in Asia, like my current home of Phan Thiet, Australia has little visibility and plays no influence on people’s views of the broader world. Investing in trade, social capital and regional security through culture is altogether less expensive and more effective than say, sending battle-cruisers to the seas of East Asia. I’m not suggesting we abandon all military projects and send in a brigade of basket-weavers instead, but there needs to be a balance. Being a bully-boy nation won’t build social capital, whereas demonstrating our intellectual and cultural capacities will. Ensuring Australian cultural goods are common in the stores and on the bookshelves, radios, screens and stages throughout Asia will not only help us address our trade imbalances, but enable us to start rebuilding our social capital which is the basis for good relationships, trust, and ultimately, influence. With Free Trade Agreements ready to go and copy right concerns becoming less of a concern, the barriers against Australian businesses operating in Asia are crumbling, as are the excuses for not fully participating in the Asian Century. Endnotes and sources are on the next page.